Carefully constructed out of a plethora of worn instruments (zither, accordion, chimes, melodica, and acoustic and electric guitars) together with some spine tingling field recordings, Jasper Leyland (aka Jonathan Brewster) has landed 2008's first utterly indispensable home listening album. Self restrained and masterful in equal measure, this 45 minute album manages to bring to mind Fennesz, Oren Ambarchi, Alva Noto, Mountains and Tape, evoking a fuzzy warmth without ever seeming overly familiar or aspirational. 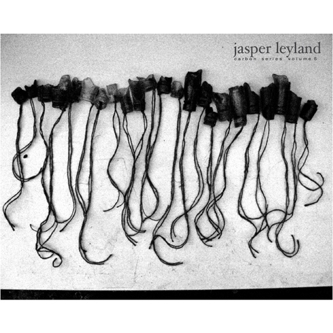 Its so hard to get this kind of music right, but Leyland manages to stick to a sparse palette without ever sounding barren, and conveys a glowing sonic tapestry without ever using any clichéd "ambient" devices. Opening with a momentary flash of white noise, the album unfolds with solo guitar and delicate processing, taking its time to seduce you into its velveteen inner environs. Track 3 layers guitar and chimes in a reverberating loop of utter loveliness, possessing the kind of widescreen qualities you wouldn't expect from such a stripped setup. The album closes with a stretched hum of instruments, a blissful requiem that is both inviting and isolated, painting a monochrome still life that echoes hope, self reflection and a quiet joyfulness. Incredibly lovely stuff - ESSENTIAL PURCHASE.